Welcome to the All-Star Summer Showdown I Event! 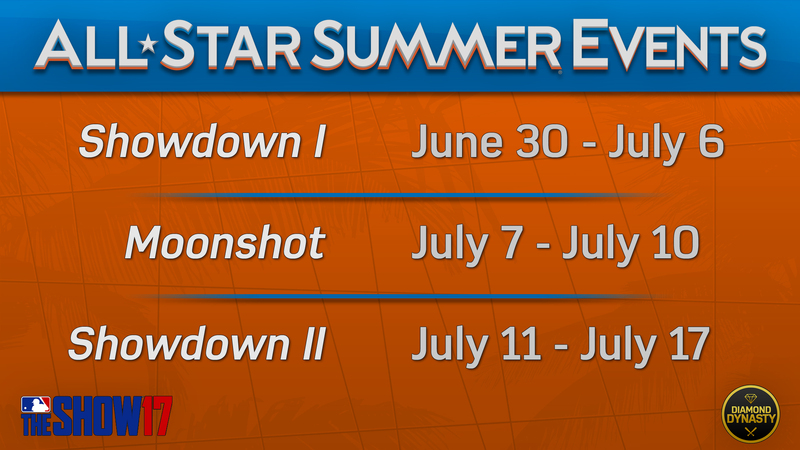 The fifth Diamond Dynasty event in The Show 17 will be the All-Star Summer Showdown I Event. Assemble a team of only American League pitchers and National League hitters. The event allows Gold, Silver, Bronze and Common tier players (no Diamonds), and your team overall is limited to 78 OVR. The All-Star Summer Showdown I Event consists of only 3-inning games.